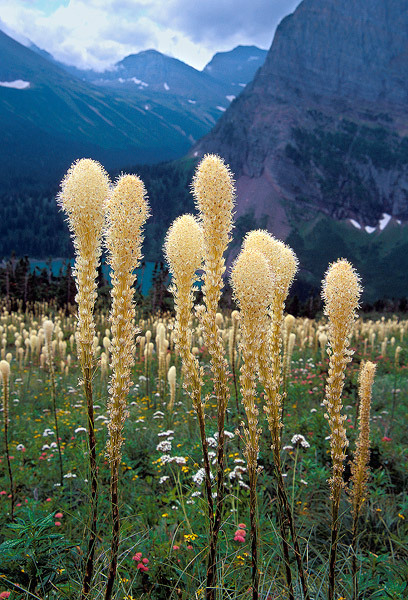 Tall beargrass flowers dot the hillsides surrounding Grinnell Lake in Glacier National Park. Field Notes: Minolta Maxxum 7 camera, Tamron 28-200 lens, Fuji Provia film. Photo © copyright by Brett Deacon.